This week’s episode of WWE Smackdown saw a slight gain in ratings from last week. The post-Hell In a Cell episode reportedly drew a 2.281 million viewers, this is a 2.3% increase on last week’s 2.229 million. 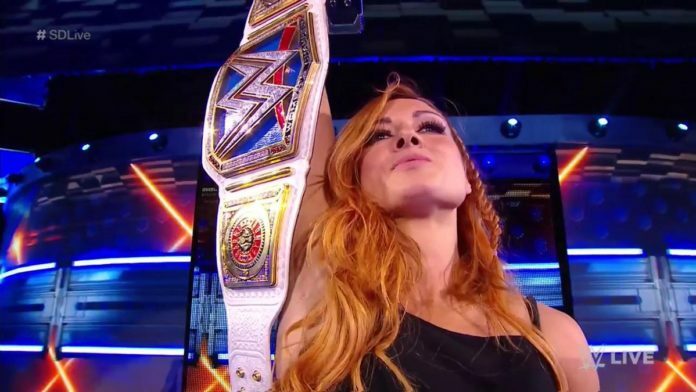 The headline segment of the show saw new Smackdown Live Women’s Champion Becky Lynch’s coronation. Top rated bouts between Lynch/Flair and AJ Styles/Samoa Joe on the Smackdown side of HIAC may have helped to drive the number up following the Network special. Smackdown was also number 2 in the 18-49 demographic for the second week in a row falling again behind the Sons of Anarchy spin-off Mayans MC. The show was number 8 on cable for viewership Tuesday night. This put the show behind Hannity, Rachel Maddow Show, Tucker Carlson Tonight, Last Word, The Ingraham Angle, Special Report and The Five. Hannity drew a rating of 3.48 million viewers to top the night on cable. Interestingly Monday Night RAW’s post Hell In a Cell show saw a loss of viewers compared to last week. The show drew 2.672 million viewers compared to last week’s 2.740 million. This was the lowest rated RAW since the July 9th episode…not great news heading out of a Network special event. The coming weeks before the Super Show-down event in Australia may well see an increase with anticipation in bouts such as Triple H vs The Undertaker.